Essential Depot prides itself on providing the purest and finest essential oils. Our essential oils are organically cultivated, grown and produced; meaning our essential oils are grown and produced free from chemical fertilizers and pesticides. For steam distillation, we insure that all the distilleries use SS 316 (Stainless Steel) which is the highest quality metal that can be used for steam distillation. For solvent extraction, we use n-hexane which is a food/pharma grade solvent. The N-hexane is evaporated after extraction leaving only the pure absolute essential oil behind. 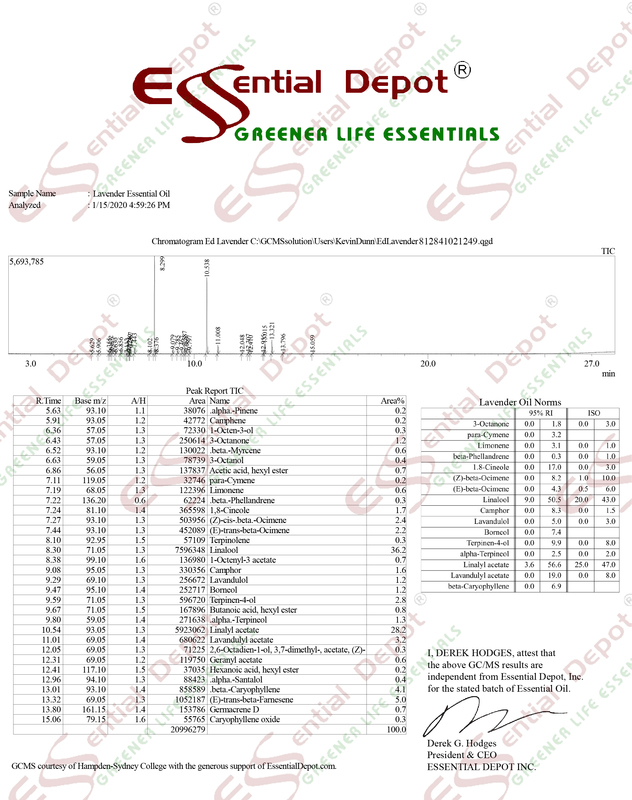 Essential Depot requires WHO GMP certification from our Essential Oil Producers. We also require that they do no animal testing of the essential oils. Please note: The International Federation of Aromatherapists does not recommend that Essential Oils be taken internally unless under the supervision of a Medical Doctor who is also qualified in clinical Aromatherapy. The essential oils that Essential Depot sells are Organic and Therapeutic Grade; intended for cosmetic and aromatherapy use ONLY, and not for internal use. Caution Note: Never ever smell a ‘new to you’ essential oil directly from a bottle. Why? Because you will usually only get the top note. These are the light and volatile constituents that are at the top of the bottle. Our Essential Oils are 100% pure and very strong; they can burn your nostrils; so be very careful. The true essences will be in the rest of the bottle. Of course you missed that part when you sniffed a whiff from the newly opened bottle. The proper way is to gently rotate the bottle then place a drop or two onto scent testing strips made for smelling scents. Or at the very least use a clean paper towel (not the best but better than a tissue). Don’t stick you nose right into that drop. Gently wave the scent strip under you nose. Take a little whiff and then you can detect the more subtle botanical aromas. Our 4 oz. bottles contain 4 oz. by weight of essential oil, our 3.5 oz bottles contains 3.5 fl oz. We are switching to only the 4 oz. bottles with 4 oz. by weight of pure essential oil. Our 1 kg. aluminum containers contain 1 kg. by weight of pure essential oil. Our aluminum bottles have a PET coating inside which will not be eaten by the essential oil. But you should use within a year. Our PET coating has a life of around 1.5 yrs. Please order a 4oz. bottle first to make sure you like the oil. Our oils are pure and very strong, so you may not be use to smelling such pure oils. We want you to be happy before you order in the bulk 1kg. size. Note: We can ship all our Essential and Fragrance Oils to Canada by UPS Standard. Orders with a product value of less than $20 US going to a residential address in Canada will incur no customs or brokerage fees. All other Canadian orders will incur these fees. You will receive a separate bill from UPS for any customs or brokerage fees; please pay this bill in a timely manner. Pumpkin Seed Oil - 4 oz.